Recorded live in concert at the Willisau Jazz Festival on August 30, 1979, The Long March documents another of drummer Max Roach's historic duo collaborations with the leaders of the jazz avant-garde. This stellar date with tenor saxophonist Archie Shepp follows Streams of Consciousness (Piadrum, 1977), with pianist Abdullah Ibrahim, and Birth and Rebirth (Black Saint, 1978), with multi-instrumentalist Anthony Braxton, predating Historic Concerts (Soul Note, 1979), his meeting with pianist Cecil Taylor, by only a few months. Despite a generational divide, Roach and Shepp share a similar revolutionary ideology, finding common accord in an artistic aesthetic motivated by socio-political concerns. Advocates of positive political change through activism, their mutual respect for jazz tradition informs and enriches their progressive stance, making this meeting especially pointed. Embarking on a series of solo and duo excursions, Roach and Shepp invoke the entire spectrum of jazz history, ranging from Roach's vivacious ode to fellow drummer "J.C. Moses"a melodious trap set rumination of characteristic depth, to Shepp's expansive solo rendition of Duke Ellington's dulcet ballad "Sophisticated Lady." 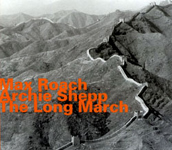 They charge into the future together on the epic title track, the central section of Roach's three-part suite "Sweet Mao," inspired by a 6000 mile trek Mao's followers undertook in the 1930s to flee persecution. Matched by Shepp's circuitous thematic variations, Roach's rolling thunder ebbs with relentless kinetic fury for an astonishing 26 minutes. Maintaining intensity, Shepp's infectiously angular "U-JAA-MA" closes the first disc on a high note, as the pair careens through a labyrinthine web of thorny expressionism. The second disc follows a similar arc. "Triptych" is another solo dedication, this time to Big Sid Catlett and Jo Jones, climaxing with Roach's scintillating hi-hat work. Shepp runs through John Coltrane's "Giant Steps" unaccompanied, tearing through the changes with fleet dexterity, while the centerpiece, "South Africa Goddamn" is a mournful, bluesy dirge. Ending with the suggestively titled "It's Time," they close the set with a series of explosive exhortations. Fueled by their activist ideology, Roach and Shepp express a range of emotions on this historic date, veering from fiery indignation and mournful reflection to winsome nostalgia and eventually, hope. Track Listing: CD1: J.C. Moses; Sophisticated Lady; The Long March; U-JAA-MA. CD2: Triptych; Giant Steps; South Africa Goddamn; It's Time. 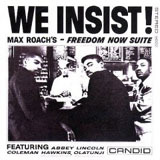 Personnel: Max Roach: drums; Archie Shepp: tenor saxophone.